Join us in Minneapolis, Minnesota for the 63rd North American Meetings of the Regional Science Association International (RSAI) sponsored by the North American Regional Science Council (NARSC) and hosted by the Mid-Continent Regional Science Association (MCRSA). The conference will be held at the Minneapolis Marriott City Center, November 9th – 12th, 2016. You can learn more about the conference, submit an abstract, and register for the conference and workshops at the NARSC Website at http://www.narsc.org/. Click on the link to the conference section for general information on the conference. To register for the conference or submit an abstract/session online you must first login to the User Area. If you attended a NARSC conference over the past couple of years or are a member of a North American regional science organization, when you reach the login page of the User Area, you will be asked to enter your provided username and password. Otherwise, when you reach the login page of the User Area, you will be asked to click on a link and enter your e-mail address so we can check if you are already in our database. If you are in our database, your username and password will be e-mailed to you so you can login. If you are not in our database, you will need to register for a free NARSC user account and then you will be able to register for the conference and submit an abstract. Once logged, you can change your password, update your profile, submit an abstract/session, register for the conference, and check the status of your registration. You will be able come to your account in the User Area subsequently using your valid username and password. In case you forget your password, just contact technical support at support@dreamco.com with your e-mail address and your password will be e-mailed to you so you can login. Individual papers, posters, and sessions must be submitted online in the abstract submission section of the website between now and JULY 1, 2016. The conference registration section is open and allows secure electronic financial transactions. We will continue to host poster sessions, and pre-conference workshops, which will be held on November 9th. Information about the workshops will be posted in May. If you are potentially interested in attending any workshops it is suggested that you wait until information about them is available before registering for the conference. Be sure to consult the conference website for additional information and details. Conference organizers welcome individual papers and organized sessions relating to a wide variety of topics inclusive within the diverse realm of regional science. We are an international scholarly organization that focuses on regional analysis, ranging from urban and spatial theory to applied problems in regional development, sustainability, environmental management, and rural land use. We are an interdisciplinary association, with members representing fields as diverse as economics, agricultural economics, public policy, urban planning, civil engineering, geography, finance, and demography. The annual North American RSAI conference is the premier regional science meeting in North America and attracts scholars and practitioners from around the world. A block of rooms have been reserved at the Minneapolis Marriott City Center at the rate of $169/night for a single or a double (plus applicable taxes at time of check out – currently 13.4%). Please visit the conference site home page for more information. 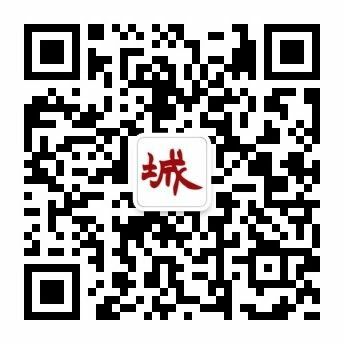 Welcome to subscribe CNUrbanStudies.org using your Wechat app for academic news on urban studies.